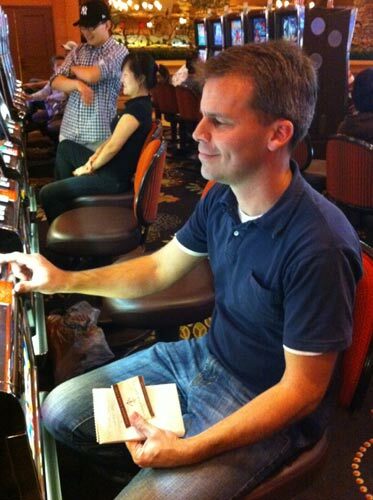 I never thought I'd find myself in a casino, shoveling hundreds of dollars into a slot machine. But on Thursday night, that's exactly what I did. I bet $2 each round, for 500 rounds, for a total of $1,000 wagered. A month after publishing the Incredibly Depressing Megamillions Lottery Simulator, I entered the Howl at the Moon costume contest at Thunder Valley Resort and Casino. I wore a paparazzi costume, and I won $1,000. 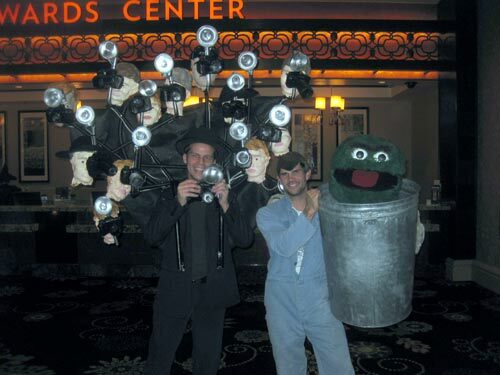 Read more about the paparazzi costume. However, the $1,000 wasn't really $1,000. It was $1,000 in slot play. They put the prize money onto this little red card. 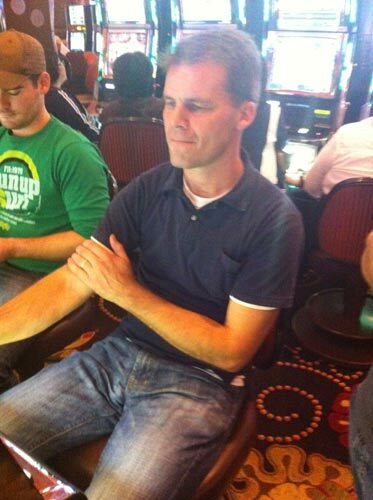 While I got to play the slots for free to get cash, I'd have to bet it at least once, on any of their slot machines. I didn't think this was ideal. I'd have preferred to have the cash. 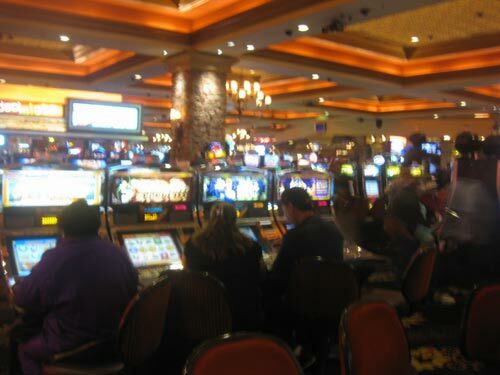 Slot machines are programmed so that the house has better odds than the player. I was probably going to come home a loser, but I couldn't imagine that I'd lose more than half of the money. According to Wikipedia, a typical slot machine pays back 82% to 98% of the money wagered by players. I planned to make the best of it. 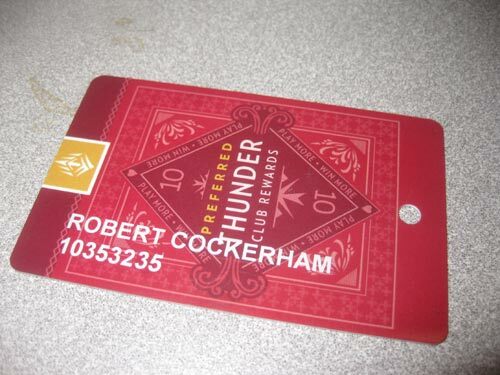 I'd gamble it away in one night, have the time of my life and take the winnings home. I asked Nick, Scott and Odie along to join me. We each brought $1,000. We arrived at about 8:45pm and tried to find the perfect slot machine. I considered the "high limit area", where some $5 slot machines live, but that was a little rich for my blood, even with $1,000 to play. I wanted to check out the "Vegas Star" craps machine, because I'd heard that well-played game of craps has a payback close to 100%, but I never found these touchscreen machines. I was also looking for a few machines next to each other, so that we could all play together, and wouldn't be encroaching on someone else's mojo while I figured out what I was doing. As luck would have it, I found a bank of empty seats right in front of the high-payout slots! 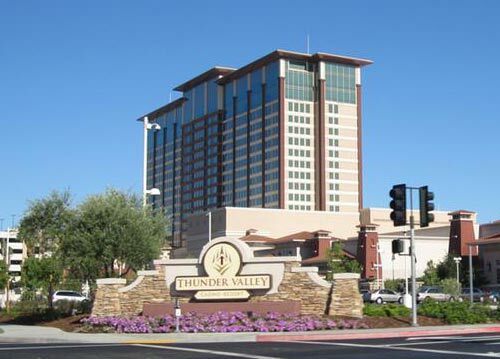 Thunder Valley has eight "100% payback" slots, which means that at the end of their life, they should have given out the same amount of money they took in. This group had some interesting features, the first was a bright sign on top, advertising "win up to 100% payback". What? What kind of deal is that? It sounds like the worst of both worlds, like you had no chance of going away a winner. I figured the sign was just not worded very well, that they wanted to say "100% payback", but that a sign which said that sounds like you are always going to win your money back. 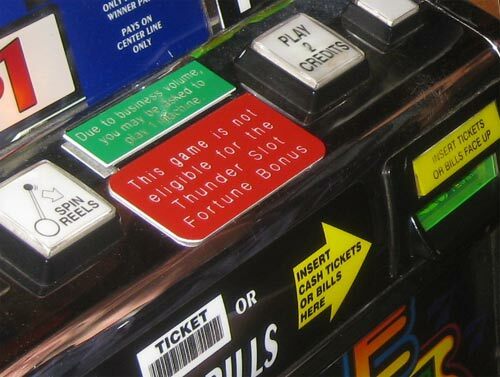 The second feature was a small placard which stated "This game is not eligible for the Thunder Slot Fortune Bonus". Ah ha! Maybe I'm a sucker, but to me, this sign says "the casino makes so little money on this machine, we can't let you have any other perks for sitting here". BINGO. This was the machine for me! I began. It was a game called the Triple Lucky Sevens, and it was boring. The only symbols spinning were colored 7s and the "Triple Lucky" bonus. I bet $2 per spin, tapping a little button to bet a little chunk of my $1,000 in virtual money. Winning spins payoff at $4, $10 $50 or more. The top (progressive) jackpot was around $10,000.